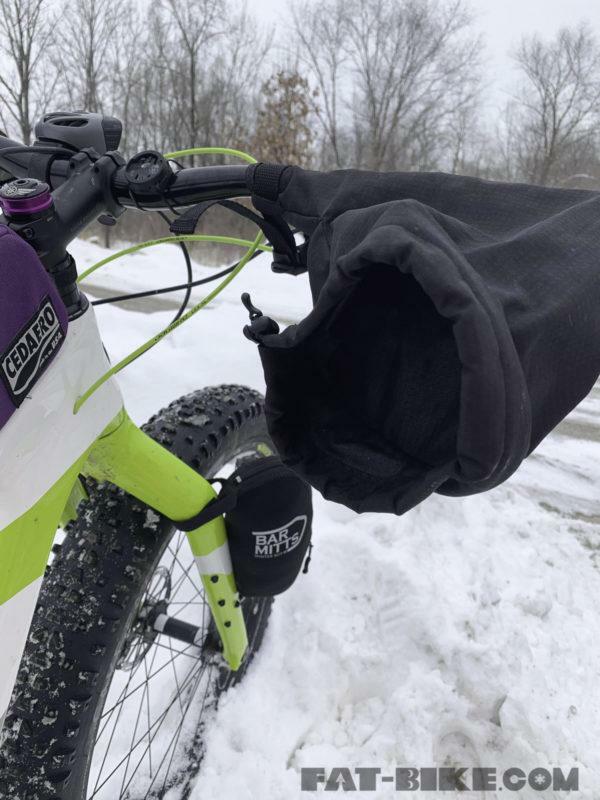 Bar Mitts, Pogies, hand covers… whatever you want to call them, Pogies (true term) have become go-to accessories for fat-bikers, gravel riders, and commuters. Providing water and wind resistance a good set of pogies can mitigate cold hands. I also always tout that while wearing a pogie you don’t necessarily have to wear big bulky gloves: increasing dexterity, bar feel, and giving you the ability to control the bike better. The Bikeiowa Pogie Lite is a multi-season pogie that excels in areas where other pogies fail… but has its limitations too. Still water and windproof, pogie lites are made from 200 Denier Ripstop. Pogie Lites are NOT your coldest weather pogies, in fact, they can be used in warm weather to inhibit wind and water from penetrating your gloves. Versatility is the number one word I would use to describe these pogies. 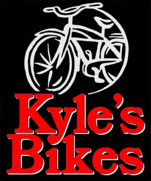 I have used them on Jones bars, flat bars, and drops- all with success. The pogies stay in place and are easy to get in and out of in case you need to make a quick exit. I really really also like the fact that over the pogies I can feel my shifters and brake levers and feel in control of the bike whether in or out of them. In fact, if you are mid-ride and decide you just don’t need the pogies, they bunch up inside of the shifter/brake lever, at least on flat bars, and can stay out of the way while remaining accessible if the wind picks up, or in an unpredictable spring storm. And you can check out http://pogielites.com/ for more info or to get yourself a pair!